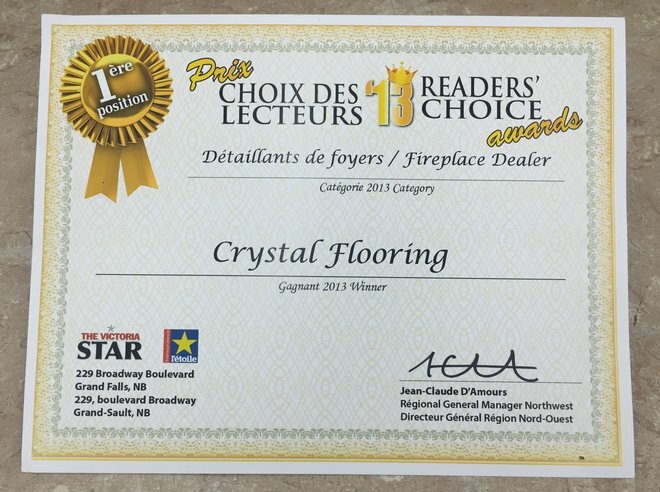 We were named winner of the 2016 Fireplace Dealers Award by readers of the L’Étoile, édition nord-ouest - The Victoria Star. It is truly an honour to be so highly recognized. Thanks to our loyal clients! Site map © 2019 Crystal Flooring Ltd All rights reserved. Web agency Vortex Solution.